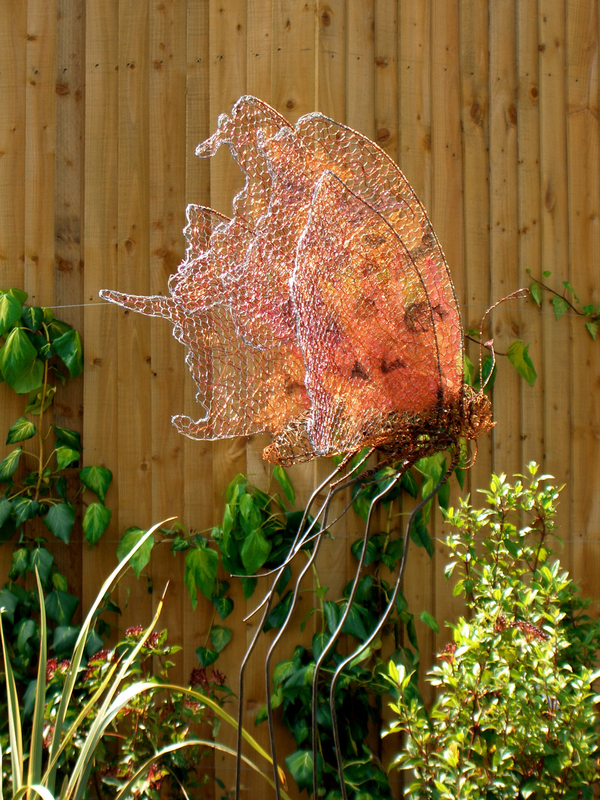 If the world was perfect Garden Beet would be selling garden art (this click through is to Garden Beet – not Fiona’s work) such as Fiona Campbell’s organic steel, copper and wire sculptures. 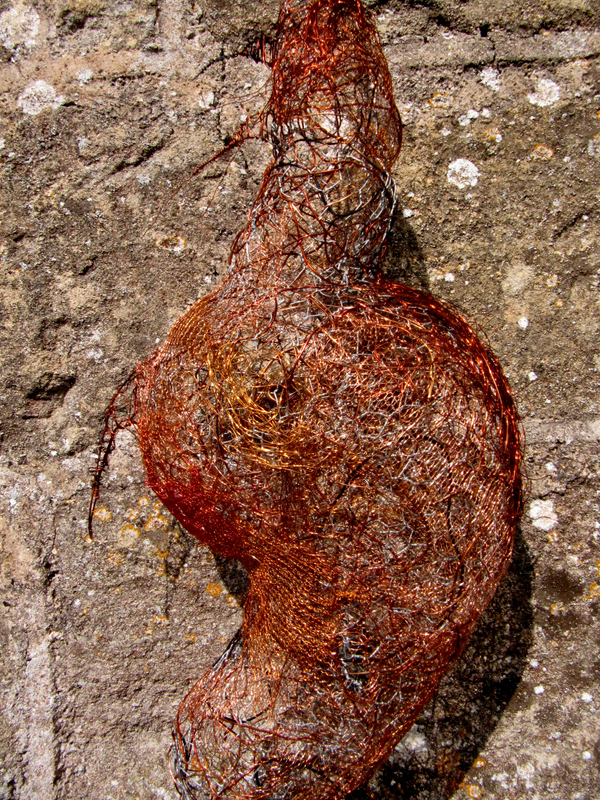 Her pieces are made from found and scrap metal and she weaves various contrasting metals into some amazing shapes. Experimenting with materials is her preference – she is not interested in mass production – and therefore each piece is either a one off or part of a limited series. My upbringing and frequent trips to Kenya have a strong bearing on the earthy, skeletal, organic, exaggerated forms, textures and colours with which I work. I have always been intrigued by nests and the process of weaving intricate structures; the sculptural forms of cocoons and anthills are awesome; insects, generally, fascinate me with their bulbous, solid structures on spiky pincer-pointed legs. 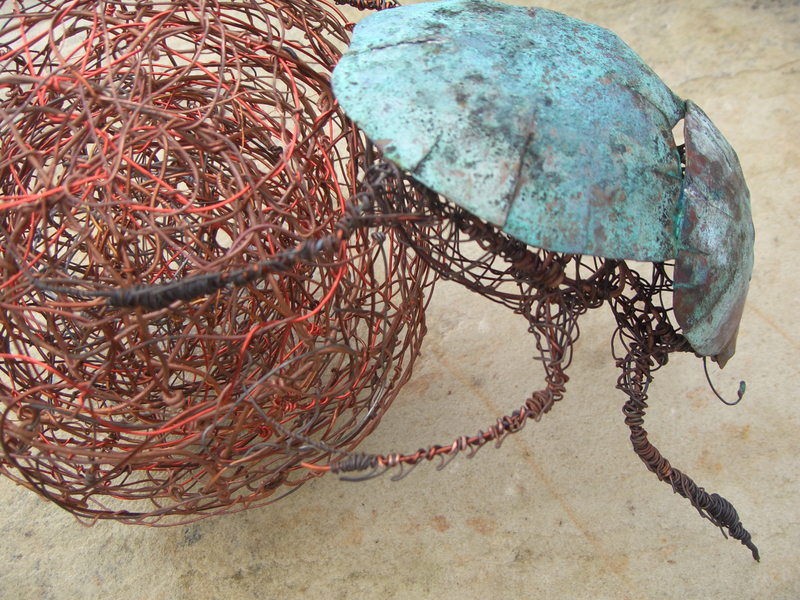 If you are interested in purchasing Fiona’s work to place in your garden her Dung Beetle is approx £520, Cocoons are approx £200-£400 and her Butterfly is approx £1400. 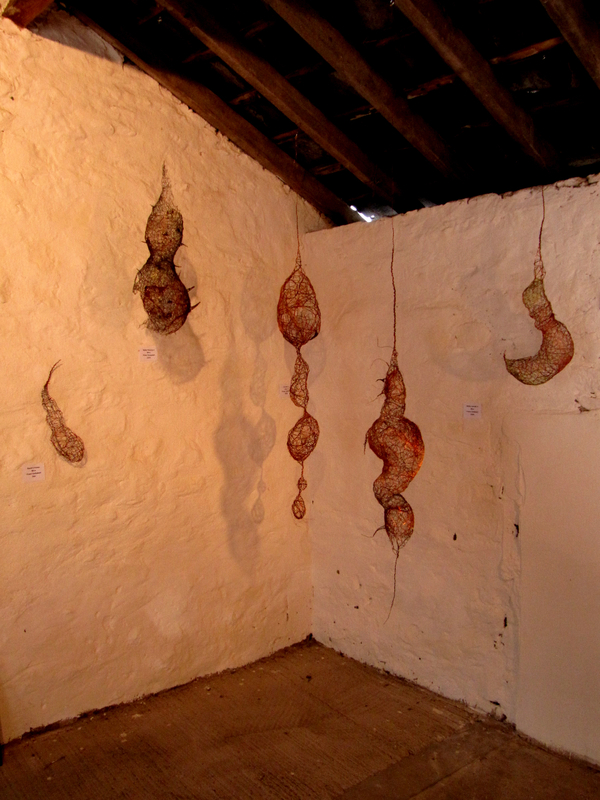 Go to her website for further details http://www.fionacampbellart.co.uk/.